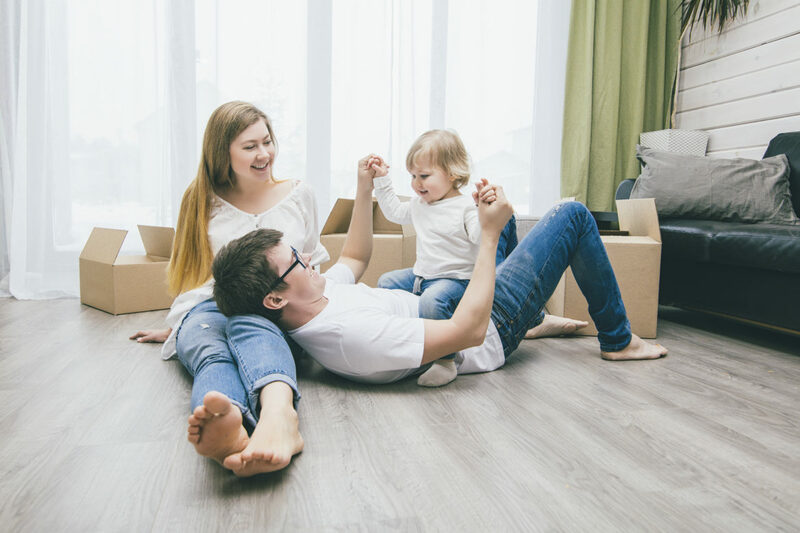 As first-time homebuyers, it’s easy to get caught up in the excitement and confusion that comes with buying your first home. So, we have put together some simple tips that will help you stay on the right path to your dream home. When thinking about your budget it’s important to consider all potential costs. You will be expected to pay a deposit of at least 5% of the property value. The higher the deposit the lower the mortgage rate, that’s the simple part. But don’t forget about things like mortgage (booking) fees, legal fees, stamp duty and even things like moving costs. In Scotland, since June 2018 first time buyers looking at homes under £175k will pay no stamp duty. This is due to the Scottish Governments first-time homebuyers relief which lowered the LBTT (Land & buildings transaction tax) threshold to £175k. There are various government schemes & initiatives designed to make things easier for first time buyers. Find out what they are and if you’re eligible, don’t miss out. Government schemes for first-time homebuyers in Scotland include help to buy and LIFT (Low-cost initiative for first-time buyers). There are two schemes within LIFT, Open Market Shared Equity and New Supply Shared Equity scheme. What this means is that you need to show that a mortgage lender is willing to lend you the money. Without a lender confirming they are willing to lend you the money, it’s unlikely a seller would consider your offer. Once you have a mortgage in principle you will most likely be asked to pay a fee to reserve it. This is what we referred to earlier as mortgage fees. Once you have a mortgage in principle and you’re ready to start making offers you have to do your research. Affording a house isn’t just about securing a deposit and finalising a sale. Think about what you can afford to offer right now versus future income versus the expected cost of living in your new home. As first time buyers, the last thing you want is to be under unnecessary stress/pressure over your mortgage. Research any potential living costs that you can think of. Does it affect travel costs for work or school? Is the cost of household shopping & food higher than your current area? Consider everyday situations and plan for every circumstance as best you can. Being able to seal the deal and buy your new home can turn into a nightmare if living costs make it difficult to keep up with mortgage payments. As an extension to properly doing your research, never under-estimate the value of local agents. They may have access to properties before listings are public or may just see something that you missed. We are always happy to make things easier for first time buyers. For anyone, but especially first time buyers viewing properties can be quite daunting. Don’t get caught up in the romance of owning your first home, focus on reality. Take photographs, take notes and look for any issues that you might want to highlight when it comes to surveying time. It’s your future and your name on the mortgage so never shy away from asking questions. Remember the agent is there to help you, so put them to work and let them do their job. Before you start to think about involving lawyers, surveyors and talking figures take some time to research further. If you think you have found the perfect property, look at other listed properties in the area and previous sales. Find out if the asking price is in line with similar properties in the area. You should also look at which direction the area is trending, are property values steady, rising or dropping. This isn’t just a home it’s an investment. The seller is obliged to have a home report created which includes a survey of the property. This must be carried out by a qualified surveyor from the Royal Institution of Chartered Surveyors. The survey will detail the condition of the property, repairs and a valuation. Other things the report should include are an Energy Performance Certificate and a property questionnaire. Once this has been done your lender will arrange a mortgage valuation to make sure the property is worth the amount they are lending. Make sure you read this report thoroughly, ask questions, then decide if you are happy or you wish to arrange for your own report/survey to be carried out. Being a first-time homebuyer with access to certain schemes etc can put you in a good position when it comes to making an offer. When you buy your dream home make sure it’s at a price that’s right for both buyer and seller. If your offer is accepted then lawyers from both parties will exchange letters known as the conclusion of missives. This is the point where you are now legally bound to the purchase. The contract would commonly include penalty fees for either party backing out at this stage. So, for the last time, go over all your research, tick all the boxes and if it’s still right for you then enjoy your new home. If you want to discuss this further, we at Cathedral City Estates would be happy to help with any question which you may have. Call Markus on 01786 542 171 or Nicola on 01786 821 012.